Scheduled for a December 2008 releases, this is something I’d definitely tap. 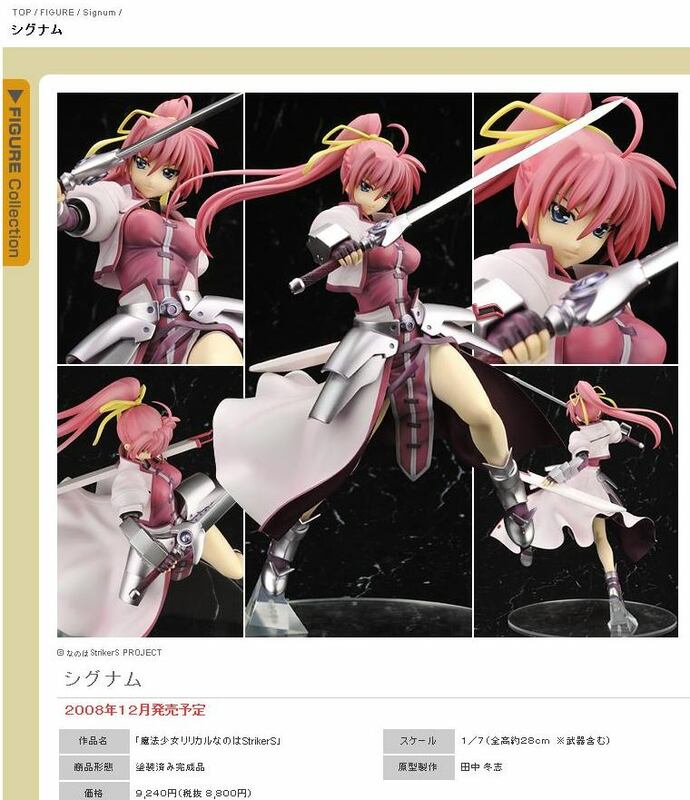 This is the Alter figurine release for Signum, Leader of the Wolkenritter in the Mahou Shoujo Lyrical Nanoha series. The sculpt looks good, especially the face and details of the barrier jacket, but the pose is a little weird, sort of hanging in mid-air. But it’s still Signum, and probably the only figurine you’ll get of her. Being a Signum fan, I went : Holy F–k, they actually did a Signum figurine?!?! My dream has come true!! I can’t rob the bank, dammit! I’ll just wait to see if the price drops, and I think I have to preorder it before end-August or it’ll definitely be snapped up like the Fate figma. Arghhh, the evils of money! !